Life is made up of moments. Moments worth remembering, worth writing about, worth scrapping. The Moments collection was designed to help you do just that. Filled with beautiful elements and lots of fun – this collection is perfect for just about any…..moment. This brand new collection is part of theStudio’s coordinated collection! I broke a few rules and added in a fun deep grey to accent the beautiful purples and greens – I hope you’ll forgive me when you see just how lovely this collection is! At just $1 per pack through January 26 – you can’t go wrong! Love it all? Snag the bundle for just $5! Be sure to check out all of the products in this collection! 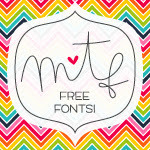 And, I have a really fun freebie for you too! A coordinating set of sticker elements created to match the Moments collection! I really love how this one came together, and I hope you do too! These sticker elements are beautiful! A lovely addition to the kit. Thank you very much. Fun flowers, great colors! Thanks bunches!